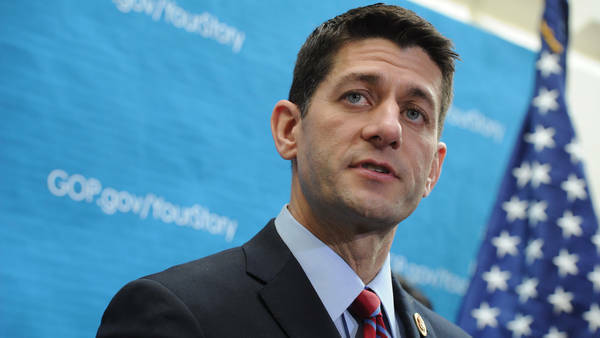 Paul Ryan Discusses Budget Deal: Representative Ryan and Senator Patty Murray agreed on a budget plan that could possibly prevent another government shutdown. Representative Paul D. Ryan’s eight terms in Congress have produced much political celebrity and Republican respect but just two laws bearing the Ryan name — a renamed post office and a modified excise tax on arrows like the ones he uses for bow hunting. Representative Paul D. Ryan and Senator Patty Murray took questions about their bipartisan budget deal on Tuesday in Washington. Then on Tuesday he struck a budget deal with Senator Patty Murray, Democrat of Washington, that affixed a new label to the polished veneer of Mr. Ryan, a Wisconsin Republican: deal maker and, to some, traitor. Syrian men evacuate a victim following an air strike by regime forces in the northern city of Aleppo on Aug. 26. Western powers could attack Syria within days, envoys from the United States and its allies told rebels fighting President Bashar al-Assad, sources who attended the meeting told Reuters on Tuesday. U.S. forces in the region are “ready to go”, Defense Secretary Chuck Hagel said, as Washington and its European and Middle Eastern partners honed plans to punish Assad for a major poison gas attack last week that killed hundreds of civilians. Several sources who attended a meeting in Istanbul on Monday between Syrian opposition leaders and diplomats from Washington and other governments told Reuters that the rebels were told to expect military action and to get ready to negotiate a peace. “The opposition was told in clear terms that action to deter further use of chemical weapons by the Assad regime could come as early as in the next few days, and that they should still prepare for peace talks at Geneva,” one of the sources said. Ahmad Jarba, president of the Syrian National Coalition, met envoys from 11 states in the Friends of Syria group, including Robert Ford, the U.S. ambassador to Syria, at an Istanbul hotel. October Surprise? Is Sandy a ‘perfect storm’? As Hurricane Sandy stayed on track to barrel the East Coast, states of emergency were declared from North Carolina to Connecticut, with residents being evacuated, schools and transit systems shut and food and supplies flying off store shelves in a sure sign people were preparing for the worst. The Hurricane is on path to meet a winter storm and a cold front, plus high tides from a full moon, and experts said the rare hybrid storm that results could cause havoc through 800 miles from the East Coast to the Great Lakes. When it comes to the Obamas, for goodness sakes, they do nothing right. I’m prepared to just go ahead and accept that from you, Charles. They do nothing right. Maybe the thing that they could do that would make you happy, maybe they should just die. OLYMPIA, Wash. – The federal government is expanding access to an immigration database so that several states can use it to cleanse voter rolls, officials said Monday. Homeland Security Department representatives first notified Florida officials last week that they could check to see if registered voters are actually noncitizens who should not be eligible to cast a ballot. State officials said Monday that the department is now offering similar access to other states who had been requesting the information. “I’m pleased that DHS has agreed to work with states to verify the citizenship of people on the voter rolls and help reduce our vulnerability,” said Colorado Secretary of State Scott Gessler, who had renewed his request for the data last week, writing a letter with the support of several other states. Elections leaders in Alaska, Arizona, Arkansas, Georgia, Iowa, Kansas, Michigan, New Mexico, Ohio and Utah had signed onto Gessler’s request. Five of the states — Colorado, Iowa, Michigan, New Mexico and Ohio — are expected to be competitive in the 2012 presidential race. Each of the election chiefs in those states are Republican. AP – Feb. 2, 2012: FBI Director Robert Mueller testifies on Capitol Hill in Washington. The review was triggered after a September blog in Wired magazine revealed training documents that reportedly called the Prophet Muhammad a “cult leader,” claimed “devout” Muslims have been generally violent for hundreds of years and made other controversial statements. Union activists aren’t backing off demands to work at a new Washington state grain terminal after hundreds of Longshore workers stormed the facility, overwhelmed guards and dumped grain.